America’s gun owners are under siege on virtually all fronts. Congress is after us, and so are governors such as New York’s Andrew Cuomo and Maryland’s Martin O'Malley. They must think that when they run for the Democratic presidential nomination, a strong anti-gun stance will help them with left-wing primary voters. It doesn’t stop there, however, as the media, liberal legislators and both federal and state regulators are looking for new and often unique ways to please their liberal bosses by harassing gun owners, dealers and manufacturers. One major national firearms retailer, for example, has been under fire for more than two years from the Obama administration’s Equal Employment Opportunity Commission. It seems the company won’t hire convicted felons, which the commission claims amounts to illegal racial discrimination. The federal government these days argues that policies that have what government lawyers call a “disparate impact” on racial minorities amount to impermissible discrimination - even when the policies themselves were not put in place for discriminatory reasons. Thus, the government argues that a higher percentage of minorities within the felony population than in the population at large means that any policy that discriminates against felons as a class is discriminatory because its impact falls disparately on minorities. Company officials pointed out to commission investigators threatening to charge the company with discrimination that they couldn’t hire felons even if they wanted to, because federal law prohibits federal firearms licensees from hiring felons. The investigator’s response was, according to a company official I talked to: “That’s your problem, not ours.” These are investigators and regulators who can read between the lines, know their bosses are anti-gun and will do anything they can to please them. Perhaps an even more creative bureaucrat came up with the idea that resulted in the visit of two Homeland Security agents to the Fredericksburg, Va., home of Kristopher Gasior on March 8. Mr. Gasior is a gun collector, author and expert on Polish-made firearms. Mr. Gasior owns a collection that includes a rare military rifle made by the Polish government in 1938, was captured by invading German forces the next year, and brought to the United States by a GI who took it from a German in the final days of the war. The agents who came to his door didn’t have a warrant, but Mr. Gasior’s wife invited them in, and when her husband came into the room, they asked if he had the rifle. When he said yes and showed it to them, they seized it and gave him a receipt after informing him that they were taking it on behalf of the Polish government. They claimed it was a “one-of-a-kind rifle” that had been looted from the Polish government during the war. Mr. Gasior, who is, after all, one of the world’s experts on just this kind of firearm, argued that it was rare, but certainly not “a one-of-a-kind rifle.” It was, he said, a limited-production model that was never in a museum, but was issued to Poles and surrendered to the Germans along with similar rifles during the German invasion of Poland in 1939 and subsequently, captured by a GI and brought home as a souvenir. The agent replied that as far as the U.S. government is concerned, anything brought over the border at any time was within Department of Homeland Security jurisdiction and could be seized. Collectors and veterans in this country are worried that owners of war trophies could be treated as Mr. Gasior was, and in the days since the incident, the National Rifle Association museum has received numerous calls from collectors worried that the Department of Homeland Security might use this newly declared power to go after firearms in their collections. Misusing governmental power in this way might not upset you if you’re not a gun owner or collector, but it should. It is indicative of the way in which the Obama administration is redefining the jurisdiction and powers of various agencies in its war on gun owners. That war is likely to continue even if Congress refuses to pass much of the anti-gun legislation President Obama says he wants. 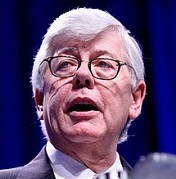 David A. Keene is president of the National Rifle Association of America.